Now you can be sure not to miss any of the great activities and outings we have planned for the coming year! Normally you can find our troop calendar under the tab on the left, but for a week or two it will be on the homepage for all to see and download. 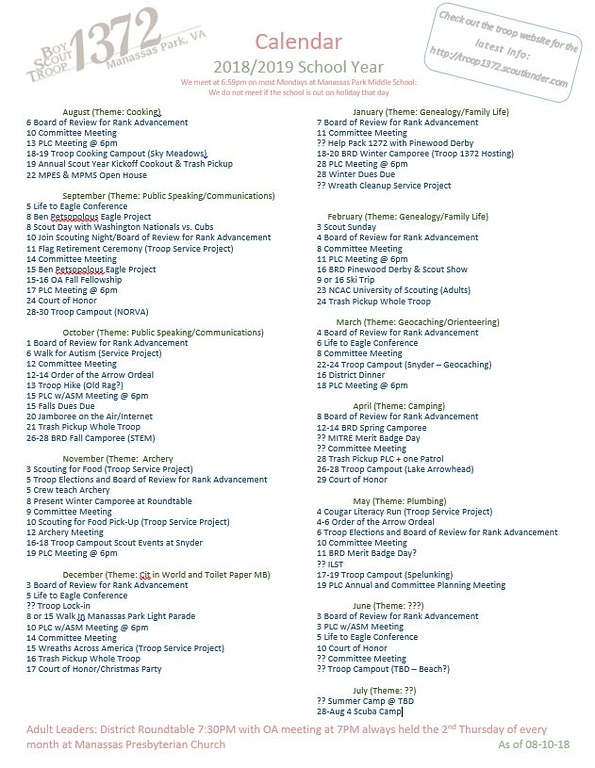 Everyone did a great job at the Annual Planning Meeting - awesome monthly themes for the upcoming year! We will also be putting these dates into the event calendar in the private section of the site. If you use outlook you can then add the events you want to your outlook calender. Oh Boy!